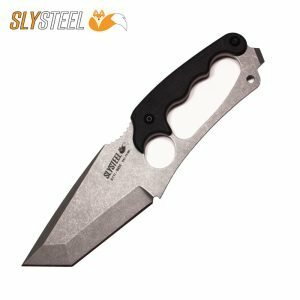 The Final Option Blade is designed by Oliver Hannan and originally intended for self-defense but has proven to have universal appeal and versatility. The Final Option Blade’s compact size makes it easily concealable in the palm and features neck and belt sheath carry options. 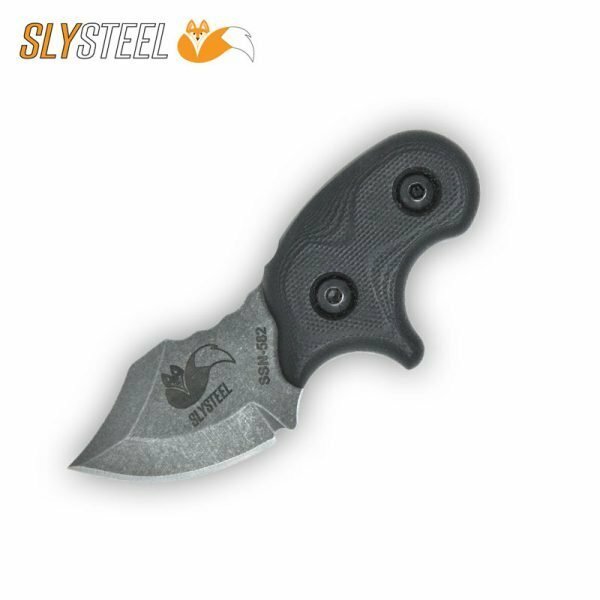 The blade has everyday carry versatility and has excellent retention and comfort, not commonly found in other designs of similar size. In a reverse grip, the knife is so secure that it can puncture the wall of an American made ammo can safely, and comfortably. 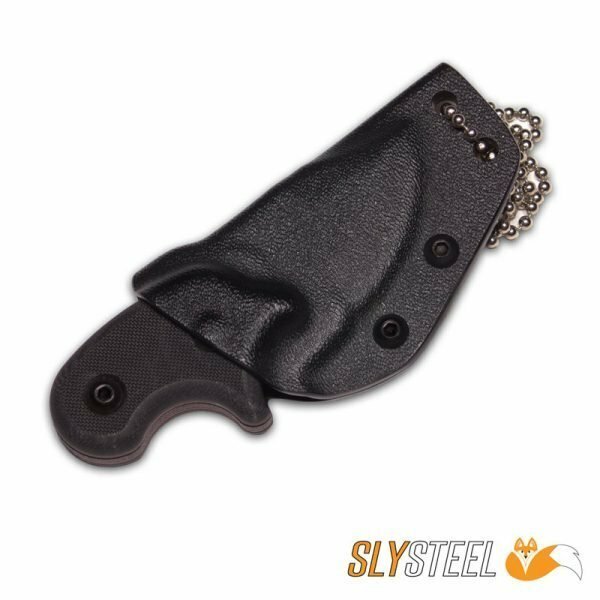 The very short blade, only 1-5/8 inches long, and short overall length, only 4 inches, make the Final Option Blade (FOB) easily concealable yet readily deployable in hand or sheathed. 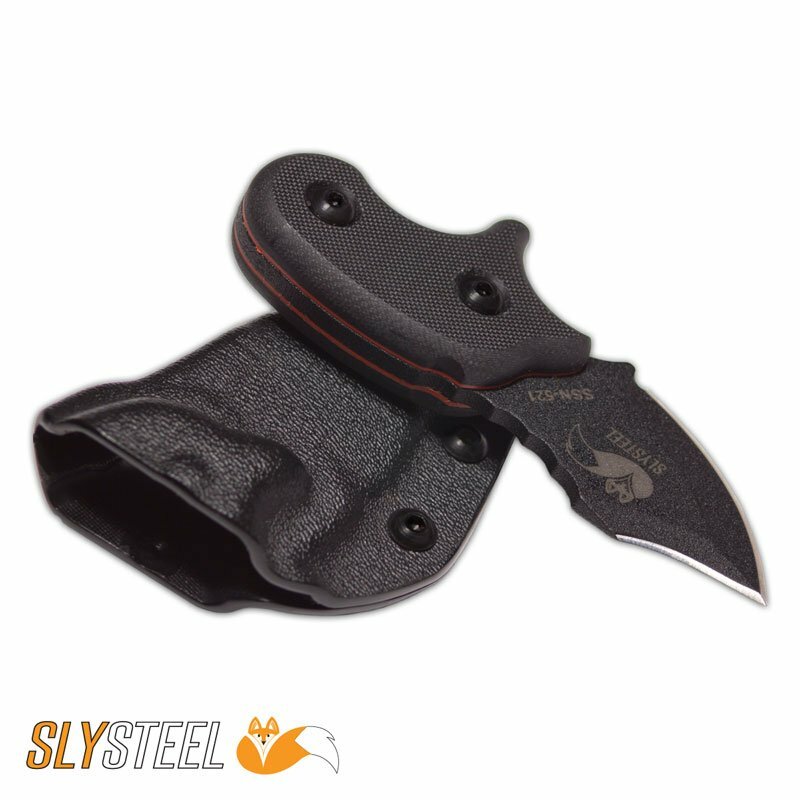 The split-finger grip adapted from our unique Shark Tooth knives gives the FOB exceptional retention in a forward or reverse grip. 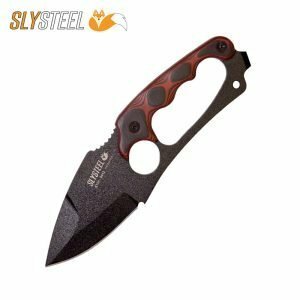 In a reverse grip, the user can easily conceal the entire knife, blade and handle, in a cupped hand allowing for quick deployment for self-defense use. The sheath for the Final Option Blade (FOB) allows the user to choose the carry position. Using the standard ball chain or your choice of paracord the FOB is a neck knife. 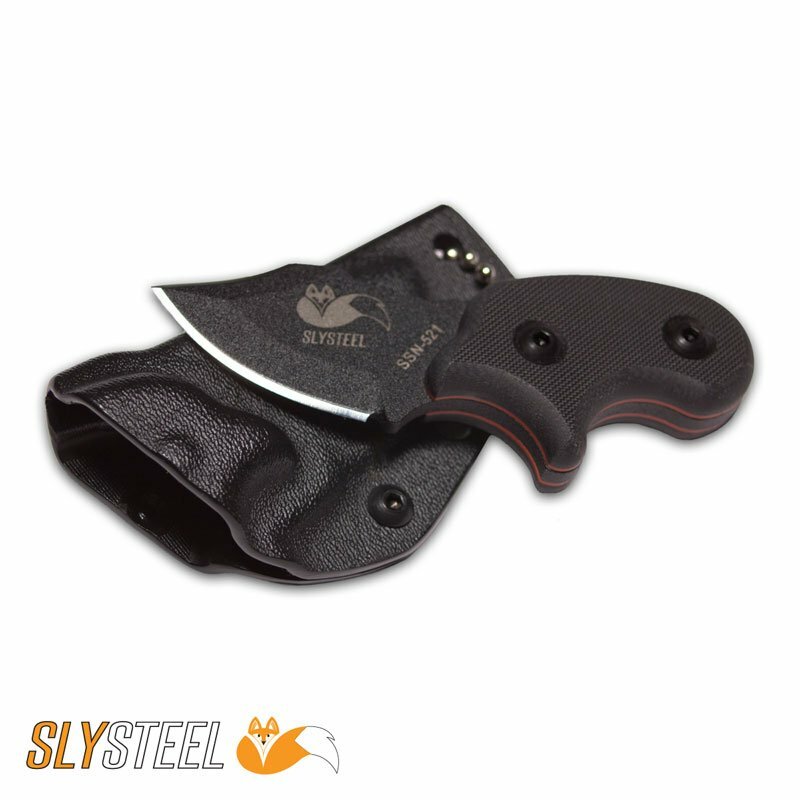 Remove the lanyard and install the included steel spring clip to convert the sheath to belt carry. From either carry position, the FOB is drawn from the sheath with a trigger-like action that perfectly positions the handle in the split-finger forward grip. In this position, the FOB is ready for everyday use or self-defense. Owners have reported using their FOB for everyday carry, to can opening, and fishing. One person, in particular, said they forgot their standard fish cleaning knives, but had his FOB, and used it to clean a four-foot sturgeon. Other customers have said that they plan to use their FOB for skinning game. SLYSTEEL has become very reliant on the FOB to cut packing foam, open boxes and break them down. 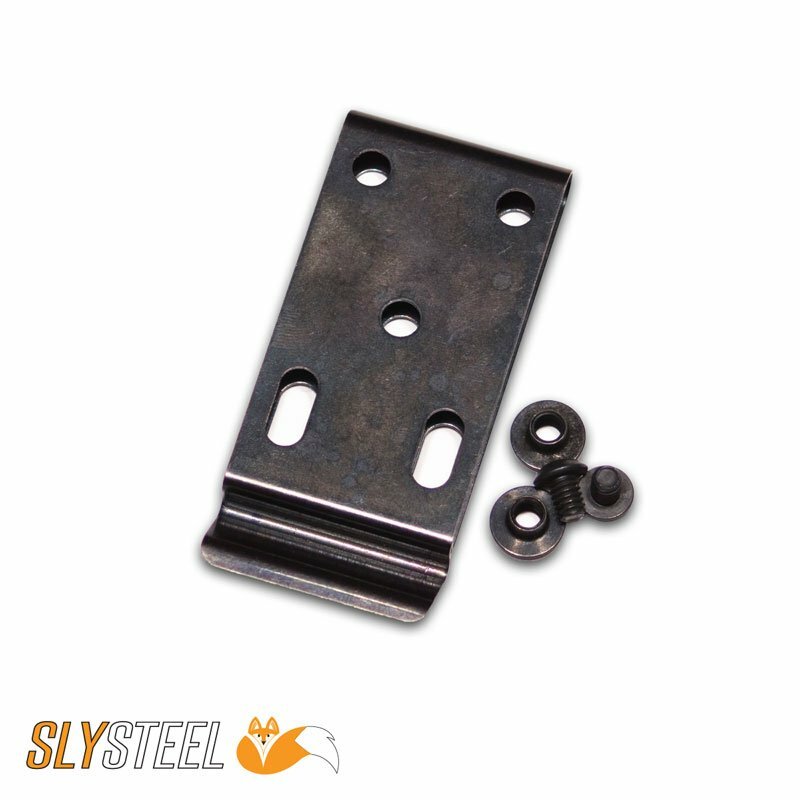 Initially, the compact design fools some people about the capability of the Final Option Blade (FOB). However, the grip and retention of the FOB are unmatched. For instance, the reverse grip is so secure it doesn’t hesitate to penetrate American made steel or robust fabrics. Also when held in a reverse grip, the blade jimping is comfortable against the meat of your palm and doesn’t needlessly dig into your hand. Additionally, if the blade is used in self-defense, the split-finger design makes it unlikely that an assailant would be able to disarm the user. 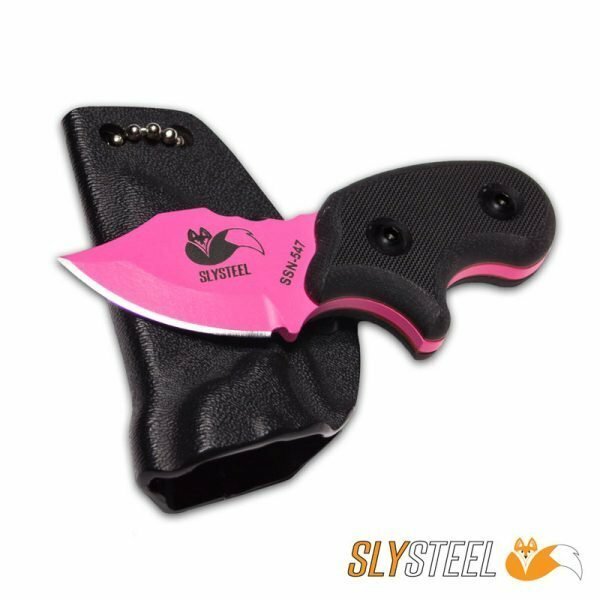 This is a very slick little EDC, very easy to slip in a pocket, wear as a necker or beltline carry. Very comfortable in the hand and plenty of blade to use for self-defense. 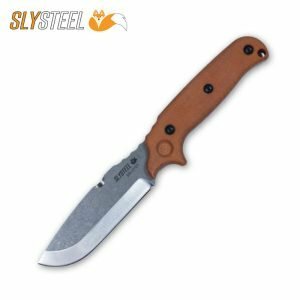 I can attest to the construction and heat treating of this knife. 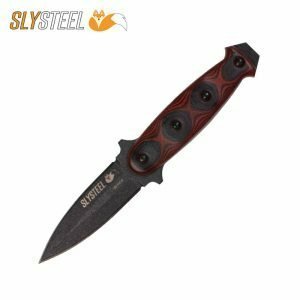 You will not have any issues with this knife, it will always be there when you need it.